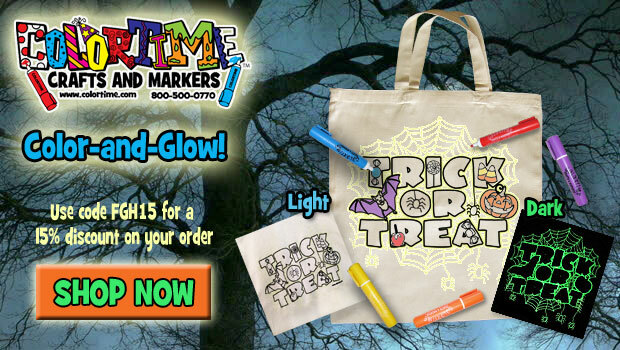 Colortime Crafts and Markers offer amazing products for any occasion! 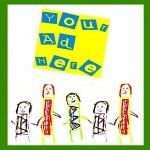 Need something fun for the kids to do at a party? Do you need a really cool gift for a kid? 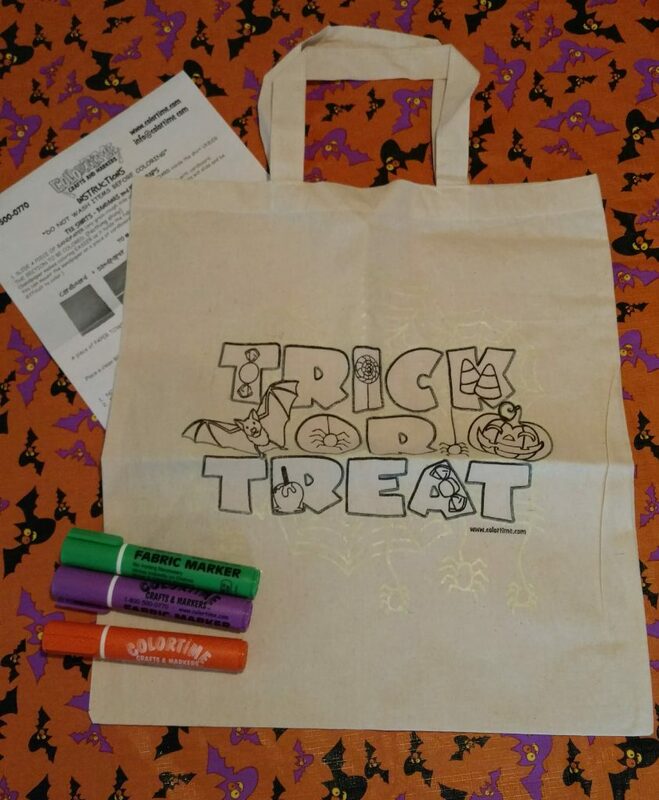 Check out Colortime Crafts and Markers! They even have party supplies. They have reasonable prices for birthday party and sleepover crafts such as Colortime Crafts and Markers coloring pillowcases, t-shirts, backpacks, permanent fabric markers, and more. New special glow-in-the-dark ink items are also available! These are clean, easy, and affordable crafts activity that doubles as a unique keepsake! 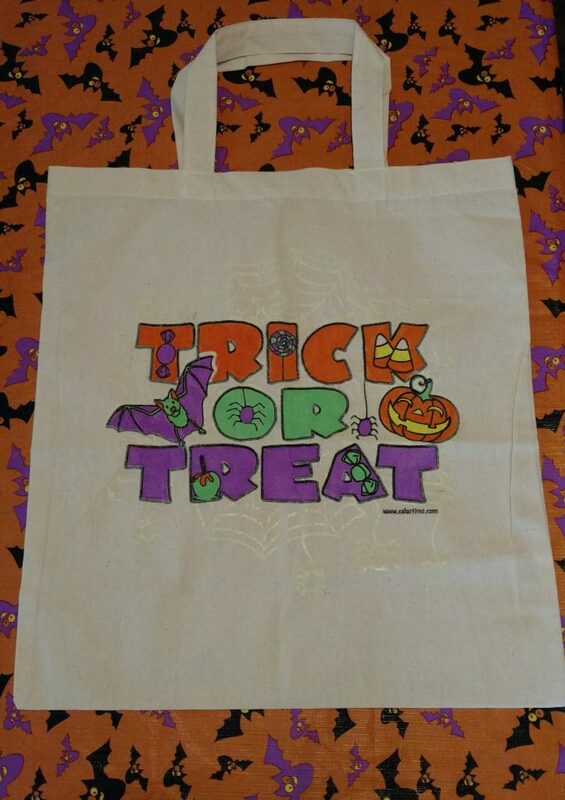 I had the opportunity to review one of the Halloween glow in the dark totes! All I can say is that it’s “tote-amazing!! !” HA! Seriously though, it’s pretty cool. All of my kids are fighting over who gets to use it. I think I’ll give it to the baby to use. First, it came nicely folded and ready to go. Instructions were included, as well as markers. It included orange, green and purple; the perfect colors for Halloween! I loved how the instructions were very easy to follow and very informative! Then, we colored it. I love how it came out! What do you think? Do you see why they are all fighting over who gets to use it and why I decided to give it to the 1 year old? It’s only fair you know. The other 3 kids already have candy bags. Maybe I’ll just have to ask Santa to get some for them for next year. Plus, the glow in the dark spider webs are AMAZING! I LOVE IT! 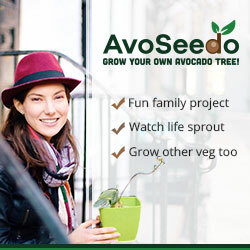 Save 20% on AvoSeedo and grow your own avocado tree at home! AvoSeedo avocado tree germinator bowl makes it easy for everyone to grow their own plant at home from a simple avocado pit. It’s easy to use for all ages. 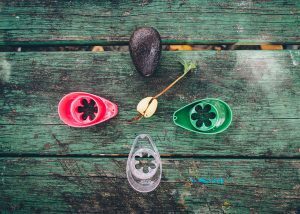 The clever AvoSeedo bowl design keeps the avocado pit immersed in just the right amount of water to grow effectively. 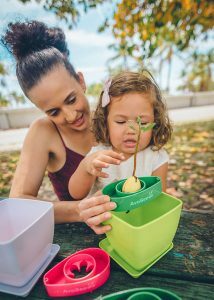 Made for durability from recyclable, non-toxic materials, it is reusable for other vegetables like lettuce, celery, and carrot tops! Germinate and grow an avocado tree in your own home, whatever the climate. It’s a fun family (Millennial parents, their young kids, grandma/grandpa) project to make a tree sprout and watch it grow from the pit of a common avocado. Increase kids’ understanding of ecology, interconnections in nature, responsibility and care for the environment in a participatory and concrete way. Watch how to grow an Avocado tree with AvoSeedo. Save 20% on any AvoSeedo avocado grower or other product and enjoy FREE shipping too. Visit the AvoSeedo Shop today and get growing today! Colortime Crafts and Markers are great for parties or just everyday fun! Do you like to be an informed customer? Do you want to have access to a wealth of information all in a few clicks? If so, then I’d like to tell you about the program at Cars.com. It’s an easy way to access a massive database for new and used cars for sale nationwide. I personally like the Car Seat Safety checks. With four kids in my car, I want to be sure they are safe. You can go here for more information about the car seat safety checks. Cars.com graded many popular models during the Car Seat Check. Check it out! Are you a first time buyer? Go here for some lessons! It can help first-time car owners avoid the classic mistakes! Which Compact Sedan Has the Most Safety Features? What do you get for $23,000? Multicar Comparison has even more quick compare features. Once you are done comparing, you can go to the Reviews. Their Editorial team tests, reviews and photographs more than 200 cars every year, creating independent and unbiased coverage of the automotive landscape, focusing on consumer advice, trends and analysis. Lastly, stay informed with Cars.com American Made Index The new 2017 American-Made Index is more comprehensive than ever, so customers are more knowledgeable about what makes an American made car when it comes to their purchase. You can access Cars.com on any of your media too! It’s so convenient to have access to so much information in the same place! Check out Cars.com today! 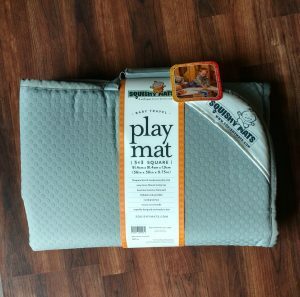 What is a Squishy Mat? 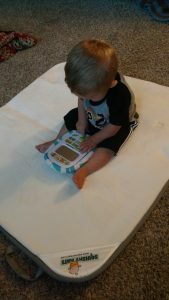 It’s simply a wonderfully easy, compact and clean way for your baby to lay or play! Squishy Mats contain almost one inch of Memory Foam – also known as the low resistance polyurethane foam developed by NASA in the 1960s. The surface of each mat is covered by a super soft, micro-flannel fabric and is backed with a nonslip rubber grid. Each mat is durable, sturdy and designed for life on the move. I love this mat. It would have come in handy when my son was a baby and we were sitting on the gym floor watching basketball practice. However, I’ll still be able to use it this coming season as a good place for him to sit and play with his toys. It’s unbelievably soft! I also love how it folds up and has a handle to carry it! Perfect! 16×32″ The Skinny Mini – perfect for little dogs with big personalities and a nice way to protect “their” spot on the couch from hair – folds and fastens with a carrying handle. 3×3′ Little Squishy – The Little Squishy fits perfectly in the back of most vehicles, keeping your automobile clean and your fur babies comfortable – folds and fastens with a carrying handle. 4×4′ Big Squishy – Let’s face the dog is just gonna steal the Squishy Mat from you and your little one. 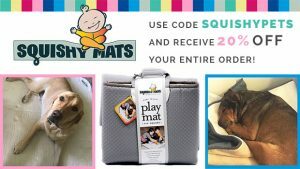 The Big Squishy is truly made with everyone in mind, but buy Scooby Too his own mat and be sure to pick one up for yourself – folds and fastens with a carrying handle. 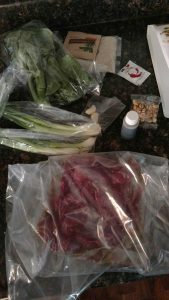 Have you ever had a recipe that calls for the ingredients to be weighed and then looked around your kitchen, shook your head, and deleted the recipe because you didn’t have a scale? 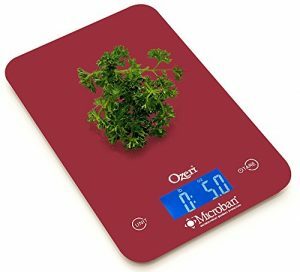 It’s time to get a scale and I have a perfect one for you, the Ozeri Touch II 18 lbs. Digital Kitchen Scale. Industry exclusive scale features Microban antimicrobial product protection that helps prevent the growth of stain and odor-causing bacteria. That’s so important when trying to prevent cross-contamination. The Ozeri Touch II scale has 2 touch sensitive buttons, 4 high precision GFX sensors, a large Blue LCD screen, and a capacity range of 0.05 oz to 18 lbs or 1 g to 8000 g. The award-winning thin design is infused with Microban antimicrobial technology to provide an added level of protection that won’t ever wear away. That’s great for high-usage! It’s available in red, white or light blue! Precision Tare button subtracts the container weight for the net ingredient weight; easy Unit button instantly converts between lb/oz, g, fl.oz., ml. Includes 2 Lithium batteries and an easy-access battery compartment (no screwdriver needed). NOTE: remove the battery insulating strip be fore attempting to use the device. If you are an online shopper like myself, you must check out Groupon! Groupon used to just be known as a site where you could purchase deals from, but now they offer actual coupons to over 9,000 retailers. You like coupons, right??? 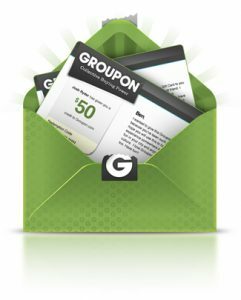 If you go on the Groupon site right now, you will find thousands and thousands of deals and coupons. There is an endless supply of money saving offers. I love saving money! Let’s look at one in particular. Amazon.com!!! Groupon and Amazon are my “go to” sites for shopping. I need something…I go to Groupon and Amazon. Need electronics? I check out Groupon and Amazon. Now let me tell you something completely awesome. NOW, Groupon has coupons for Amazon!! I’m squealing with excitement! That’s like double savings!!! This has opened up a whole new world for me! Instead of going directly to the Amazon site, simply go to the Groupon site first here. 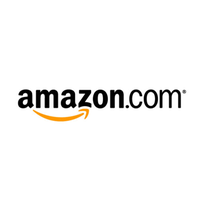 Grab the Amazon coupons and promo codes. Now you are ready to save some big bucks! Simple, right? Look at all these deals you can get with a Groupon Coupon for Amazon. Tired of the same old repetitive dinners every night? Need ideas but are you afraid of picking the wrong recipe or not knowing exactly what to do? Well, guess what I have for you next! Home Chef!! 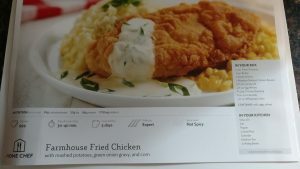 I have never tried a meal deliver service before and I’m happy to report that I was amazed at Home Chef! 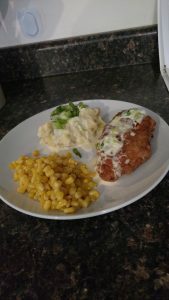 It was simple and amazingly delicious! Home Chef delivers perfectly portioned ingredients and easy-to-follow recipes directly to your door. Each week, you can use the personalized recipe recommendations they provide you. Or, you can pick from 11 fresh, chef-designed dinners, priced at $9.95 per serving. They change their menu weekly to give you countless new dinner options. In about 30 minutes, using Home Chef’s simple, step-by-step recipe cards, you’ll confidently prepare meals from scratch that impress everyone at your table…including yourself! 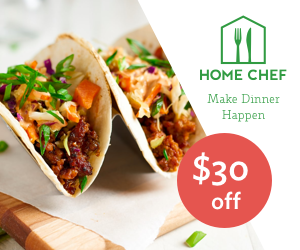 Use the promo code “FAMILY” to try out Home Chef for $30 off here! 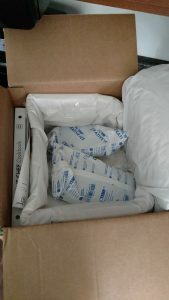 I received my box on the day I specified I wanted delivery. When I opened it, everything was nicely packaged and cold. That’s important. It was cold! Look how nicely packaged that is! Everything came all nicely packed, fresh and labeled. Since I had no idea what Chinese broccoli was, labeling was a good thing. I really didn’t know what to expect. However, I was pleasantly surprised. I didn’t have to measure anything. The oil, butter, cream, etc. was already perfectly portioned and measured for me. All I had to do was follow the amazingly easy instructions and I was on my way to a delicious meal. Theirs (above). Mine (below). AMAZING!!!! By the way…it was delicious. Even my kids liked it. It was like I was at a restaurant. The next day I tried a different recipe. Oh boy….again…so delicious and perfect! 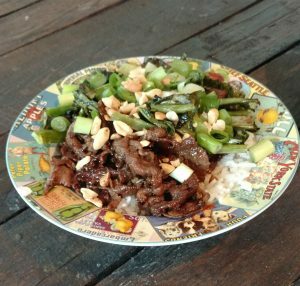 Wow, just writing about this is making my mouth water for this deliciousness from Home Chef. 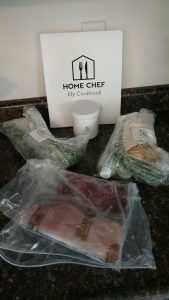 I highly recommend trying Home Chef if you are looking for a home meal delivery service. 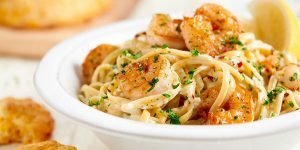 Remember, use the promo code “FAMILY” to try out Home Chef for $30 off here! 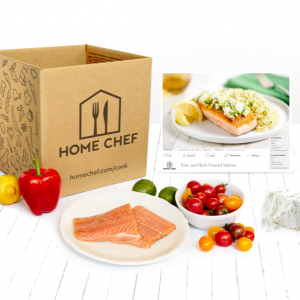 Try Home Chef for $30 off and get perfectly portioned ingredients and easy-to-follow recipes delivered right to your door. 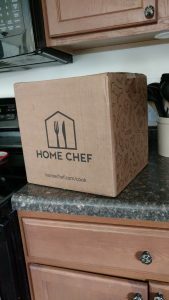 Home Chef delivers perfectly portioned ingredients and easy-to-follow recipes directly to your door, so whether you’re an amateur cook, or more seasoned in the kitchen, cooking with Home Chef is easy and enjoyable. Each week, you can use the personalized recipe recommendations they provide you. Or, you can pick from 11 fresh, chef-designed dinners, priced at $9.95 per serving. They change their menu weekly to give you countless new dinner options. I can’t wait to try it! It will be a nice change from the repetitive dinners we make due to being at a ball-field every night. Come back and check out my review once I’ve tried it! Or even better, use the promo code above to try it yourself for $30 off! 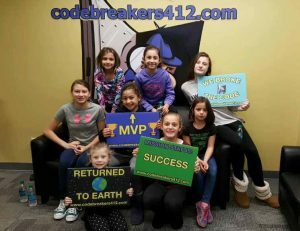 Code Breakers is a perfect escape room experience for kids! I was extremely excited to take my kids here! When I told my 11 year old, she practically squealed with excitement. I’ve always wanted to try one myself, but this time, my kids get to try it and test their code breaking ability. We had the amazing opportunity to go there last week. My daughter took a few of her friends and they were SUCCESSFUL! It got a little scary at the end because the clock was ticking down and they had 2 more puzzles to solve, but they were able to break the code with 6 minutes left! When they entered the room, most of them were unsure of what they were getting into but when the clock started, they went right to work. It was so much fun just watching them figure it out for themselves. When they got stuck, one of the employees gave them an extra hint to get them going again. Each of the girls gave it their all and through perseverance and teamwork, they did it! If you take your child, my only suggestion is that if they are younger, be prepared to help them out. It’s definitely doable for younger crowds but when I went with 11 and 12 year olds, my goal was to not help them so it took them a bit more to figure it out. I would definitely go back and even take my 7 and 9 year old. I am so excited to share this EXCLUSIVE SAVINGS OFFER FOR MY READERS! 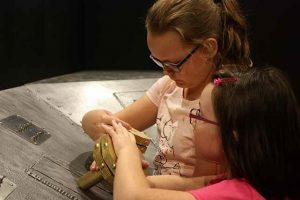 SAVE 15% on the all new KIDS ESCAPE ROOM – only one in Pittsburgh area! 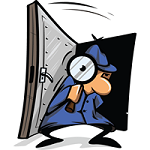 Use Promo Code READER_EXCLUSIVE when booking your kids escape room – what a perfect gift idea!